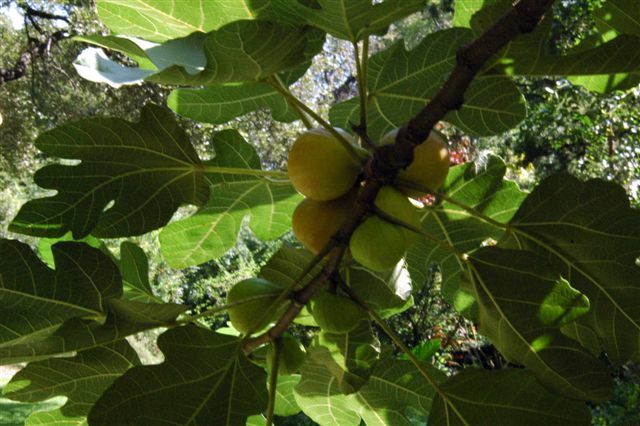 HABIT: 'Celeste’ is a large growing tree with small, very sweet figs with tightly closed eyes. 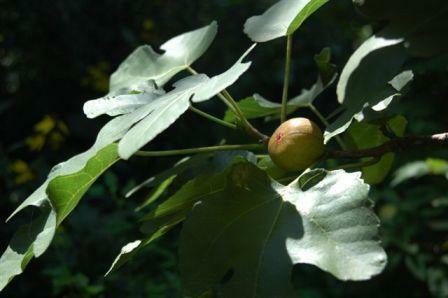 ‘Brown Turkey’ or ‘Texas Everbearing’ is a productive tree with medium sized fruit. 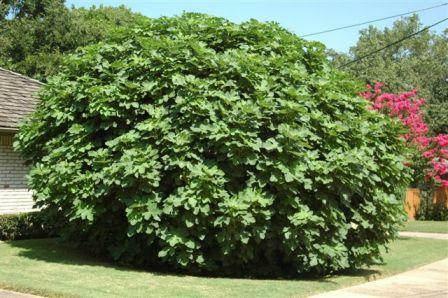 CULTURE: Figs don’t need much other than an organic program and continuous mulch on the root system. They will grow in all soils but like healthy soils the best. Need plenty of water. Heavy mulching is very important. PROBLEMS: Nematodes can be a pest but can be easily controlled with citrus pulp worked into the soil. Varieties with open eyes are subject to damage from the dried fruit beetle. Birds, raccoons, possums, and squirrels are also problems. HARVEST: Harvest in Summer as the fruit matures. Harvest as soon as figs have ripened. They will not continue to ripen after being harvested. They are not ripe if the sap is white. Excellent dried. Store at 32-40° for 2-3 weeks. VARIETIES: ‘Celeste’, ‘Texas Everbearing’ ‘Brown Turkey’, and ‘Alma’. 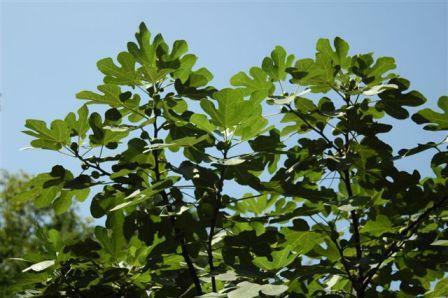 Figs produce fruit without pollination. Parthenocarpic. NOTES: Shriveled fruit may result from using the wrong variety or from hot, dry weather.